WHEELING, W.Va. (CNS) — A former altar server, seminarian and secretary to Bishop Michael J. Bransfield has filed a civil lawsuit alleging that the former bishop of Wheeling-Charleston sexually assaulted him. The alleged assault occurred in 2014, but fearing retribution for himself, his parents and family because of “treatment and ostracism of once highly regarded church members who had dared to criticize or speak ill of the Catholic Church or Bishop Bransfield,” the suit alleges, he did not report the incident at the time. The suit was filed in Ohio County Circuit Court March 22 by attorney Robert B. Warner of Charleston, West Virginia, and lists the complainant as “J.E.” Also named as defendants are the U.S. Conference of Catholic Bishops, the Diocese of Wheeling-Charleston and “John Does” associated with the diocese. The suit alleges Bishop Bransfield sexually abused, molested, fondled and assaulted J.E. and other adolescent and “adult” males during his employment as bishop of the Diocese of Wheeling-Charleston. 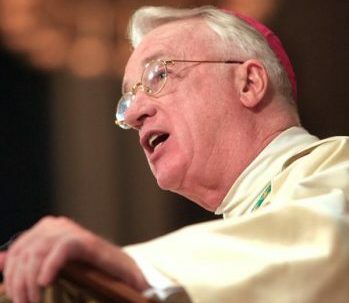 Archbishop William E. Lori of Baltimore, who is apostolic administrator of the Wheeling-Charleston Diocese, announced March 11 that the preliminary investigation into allegations of sexual harassment of adults and financial improprieties by Bishop Bransfield had been completed and would be sent to the Vatican for final judgment. The archbishop also announced that Bishop Bransfield is restricted from exercising any priestly or episcopal ministry either within the Diocese of Wheeling-Charleston or within the Archdiocese of Baltimore. He also directed the diocese to implement a third-party reporting system for any sexual or financial impropriety on the part of its bishop, clergy, religious and lay employees and volunteers.